Our favorite Car Seats for infants and toddlers (for 0- 12 months) and full-size Seats. 1) Grow and Go 3-in-1 Convertible Car Seat with Side Impact Protection. 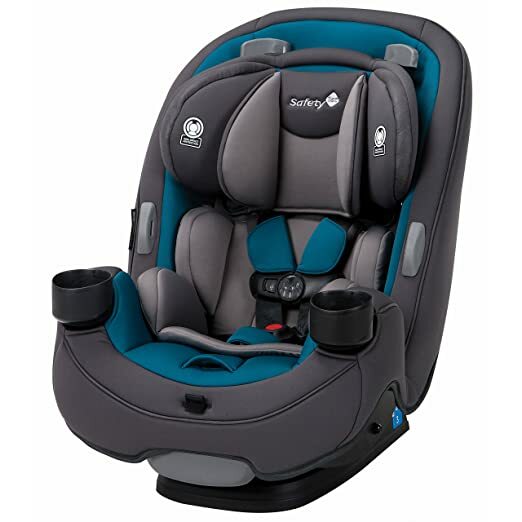 The 3-in-1 car seat built to GROW for extended use through 3 stages: Rear-facing 5-40 pounds, Forward-facing 22-65 pounds, and Belt-positioning booster 40-100 pounds. The Grow and Go’s side impact protection helps keep your child safe. 3-position recline makes it easy to get a good fit in your car. Harness holders keep the harness in an open position so it’s easy to get your child in and out of the seat. 2) Graco SnugRide ultra-lightweight child safety seatis easy to transport from the car to the stroller andeverywhere in between. 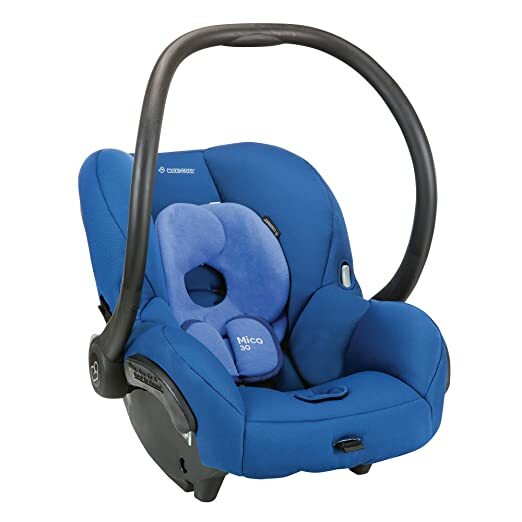 Graco Click Connect 35 Child Safety Seat. Ultra-lightweight infant car seat is easy to transport from the car to the stroller and everywhere in between. Rear-facing newborn car seat helps protect infants from 4 – 35 pounds; and up to 32″, making it an excellent first car seat for baby. 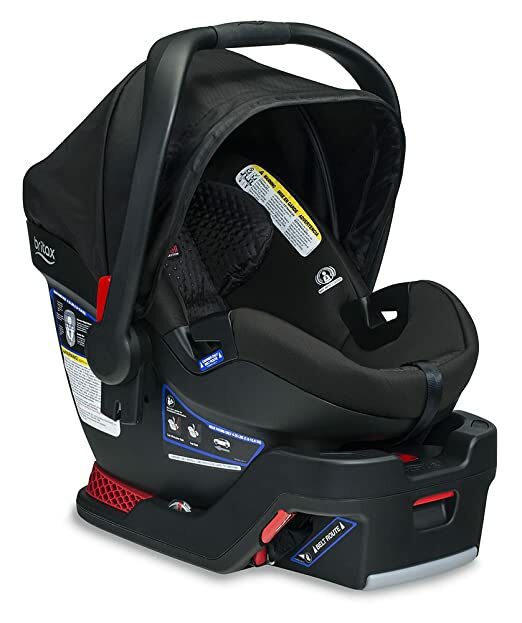 Click Connect system provides a one-step secure attachment between the rear facing car seat to all Graco Click Connect Strollers to create a travel system. 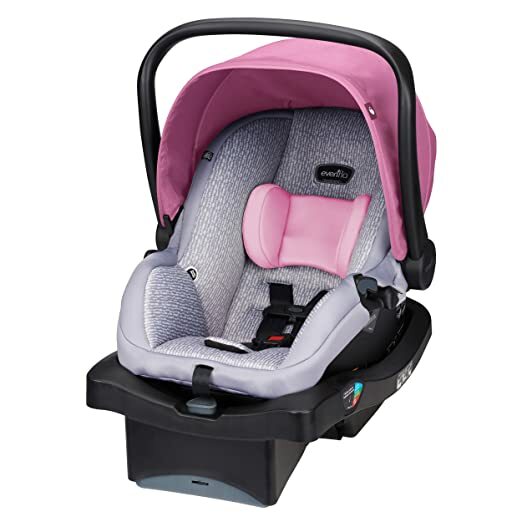 3) Rear-Facing Child Car Seat fitting babies and newborns from 4-35 pounds. 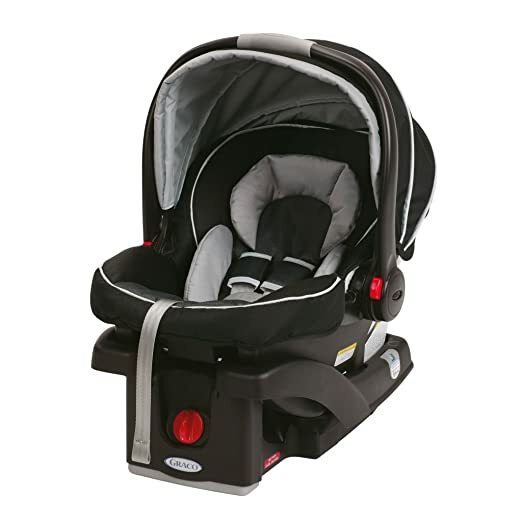 This Rear-Facing Infant Car Seat fitting newborns and babies from 4-35 pounds includes a stay-in-car convenience base that minimizes overall parent effort. In addition to meeting or exceeding all applicable federal safety standards, this car seat also passes Evenflo&rsquo;s comprehensive Side Impact and industry leading Rollover Test Standards. The extremely lightweight design equipped with a padded, ergonomic handle is uniquely crafted to make carrying your infant or newborn as comfortable as possible. 4) Britax with deep foam-lined shell, 2 Layers of SideImpact Protection, and quick-adjust head rotection,shield your child from severe collisions. 2 Layers of Side Impact Protection, with deep foam-lined shell and quick-adjust head protection, absorb energy and shield your child from severe collisions. Dual level indicators let you know the seat is angled correctly in your car. Safe Cell Impact Protection is an integrated system of safety components that work to protect your child beyond federal standards. Impact-Absorbing Base compresses to reduce the rough force of a crash. 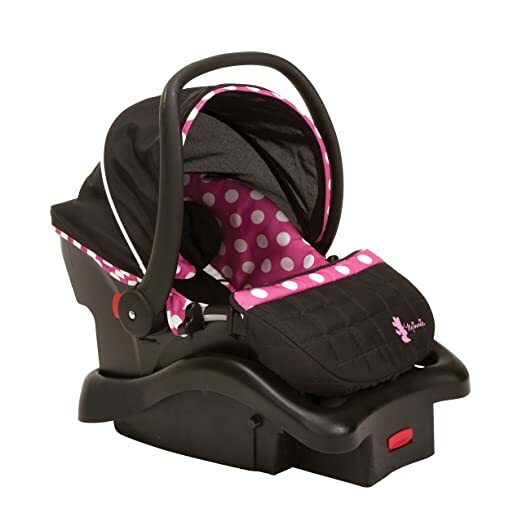 5) Rear-facing 4-22 pounds and up to 29″ Light ‘n Comfy Luxe Infant Car Seat. Rear-facing 4-22 pounds and up to 29″. Side Impact Protection, LATCH equipped with convenient LATCH storage, 5-point harness. 6) Premium infant car seat lightest in its class with Self-Wicking fabric, deodeorizes and draws liquids away from the skin to keep baby dry and comfortable. Lightest premium infant car seat in its class, Integrated Side Impact Protectins, Self-Wicking fabric: deodeorizes and draws liquids away from the skin to keep baby dry and comfortable, Lightest premium infant car seat in its class, Integrated side impact Protections.